I enjoy fashion, but I am not what you would call a stylish man. Thanks to my body type (short arms, thick legs), fit is most important, and what fits doesn't always look good. What I do enjoy is feeling inspired to try something new, something different, even if what inspires me never makes it onto my body. 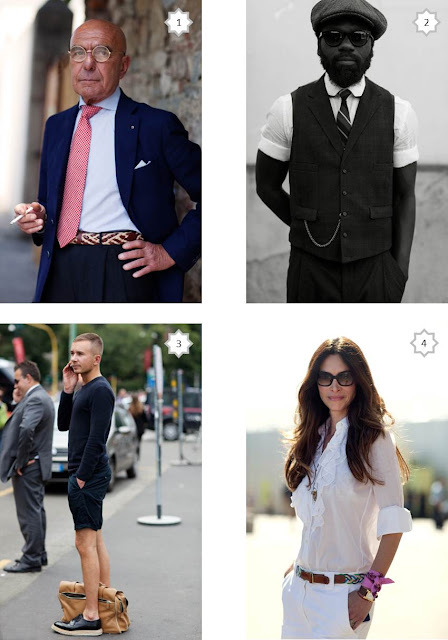 So, what I hope from this new series is to share with you, our readers, some of the looks that inspire me. What looks are inspiring you right now?